During the two days in Lamego, I walked a total of 21057 steps which was approx. 14km! But there's no better way to get to know a place than walking, I think. After a little break, we went to the Castle. It is quite a walk to get there, to be honest. The streets are very steep as the castle is on a very high hill. If on top of that you add some warm temperatures, you can imagine how it felt... Was it worth it? Definitely!! The view is..... see for yourself! And eventually, it was time to start our "descending" towards the center again. Love all the narrow streets! Along the way, met a very old lady, which seemed to be having a hard time walking home, as she lived very close to the castle. Normally, I wouldn't say anything but I asked her if she needed help with her grocery bag. Surprisingly, she said that was no need and she was used to it. "Oh, I just take my take my time, don't worry", she said. 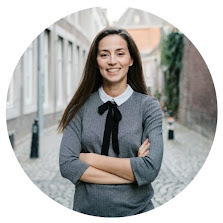 And then she continued, walking very slowly, those steep streets... Thumbs up for you, lady! Personally, I loved the views of the town from the castle and how beautiful the Cult of Nossa Senhora dos Remédios looks like during night time and the hills around Lamego filled with vineyards... Beautiful sights! 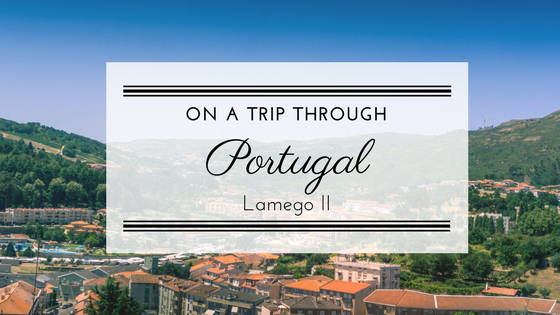 Hope you enjoyed the sights of Lamego and don't; forget to check out the first part (here)!